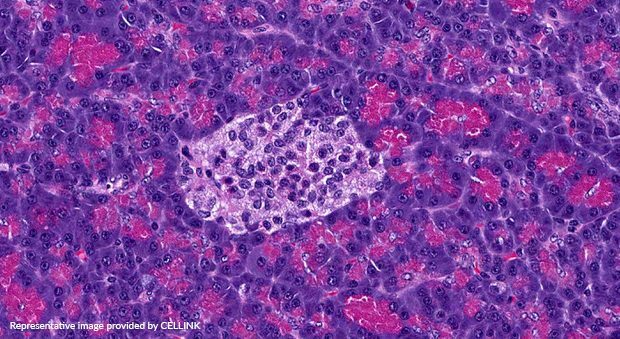 Beta (β) cells make up 50–70% of the cells in human pancreatic islets. Mass and functionality of β cells is reduced in patients with type I or type II diabetes. 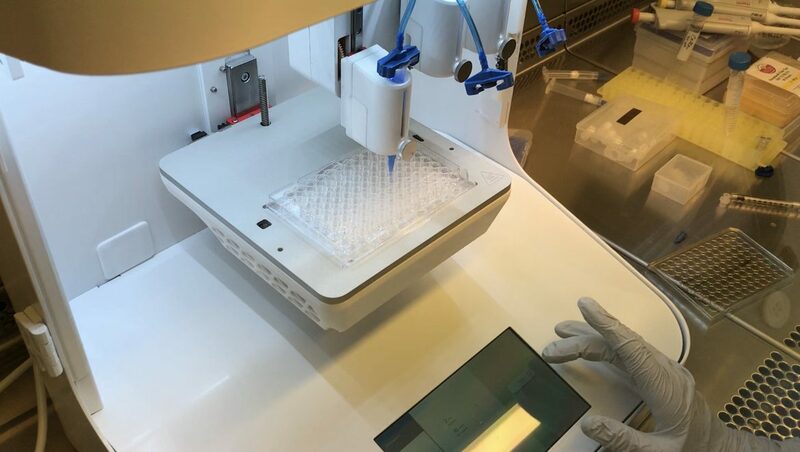 3D bioprinted β cells can create a platform for multiple studies, such as research and development of new drugs for treating diabetes or transplantation studies. At CELLINK, we developed PAN X, a bioink which enables 3D bioprinting and culture of β cells. The aim of following project was culture iPS-derived β cells 3D bioprinted in CELLINK® PAN X bioink and evaluate the cell viability of bioprinted constructs. The human pancreas is a gland with both exocrine and endocrine function. As a part of the digestive system, it secrets pancreatic juice and enzymes for digestion. Pancreatic islets, which comprise 1-2 % of the pancreas volume, play a crucial role in regulation of blood sugar levels by secreting hormones insulin and glucagon. Insulin is secreted by β cells, which can respond quickly to spikes in blood glucose concentrations and are the only site of insulin synthesis in mammals. 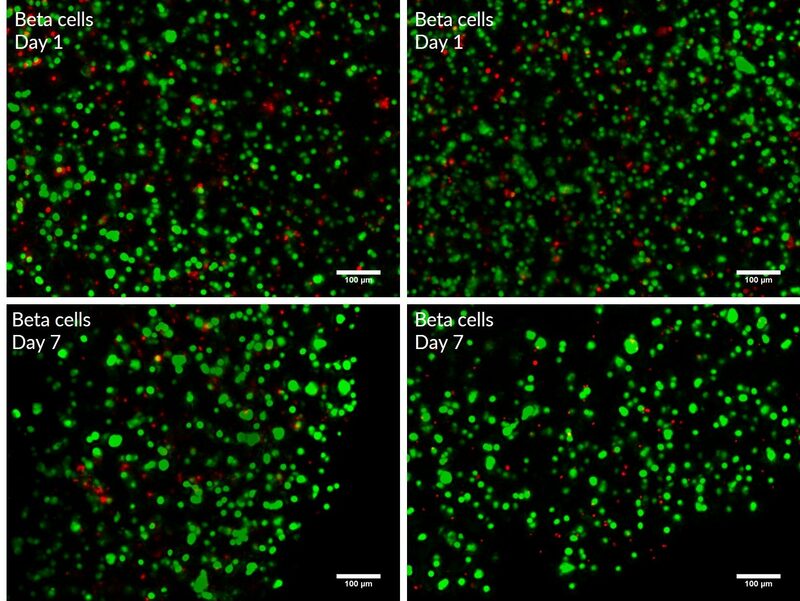 Using iPS-derived β cells has a number of advantages over using human islets. First, it is potentially an unlimited material source for cell therapy products, drug testing and fundamental research. Moreover, it reduces the need for islet donors and overcomes the problem of donor-to-donor variations. β cells were mixed with PAN X bioink in 1:10 ratio. 2 µl droplets were printed in 96-well plates using BIO X. Results of live/dead imaging performed on Day 1 and Day 7 after printing (image right) display viability over 75% (green: live cells, red: dead cells). High viability indicates the beneficial effect of PAN X, which creates a non-toxic environment suitable for cell growth and proliferation. 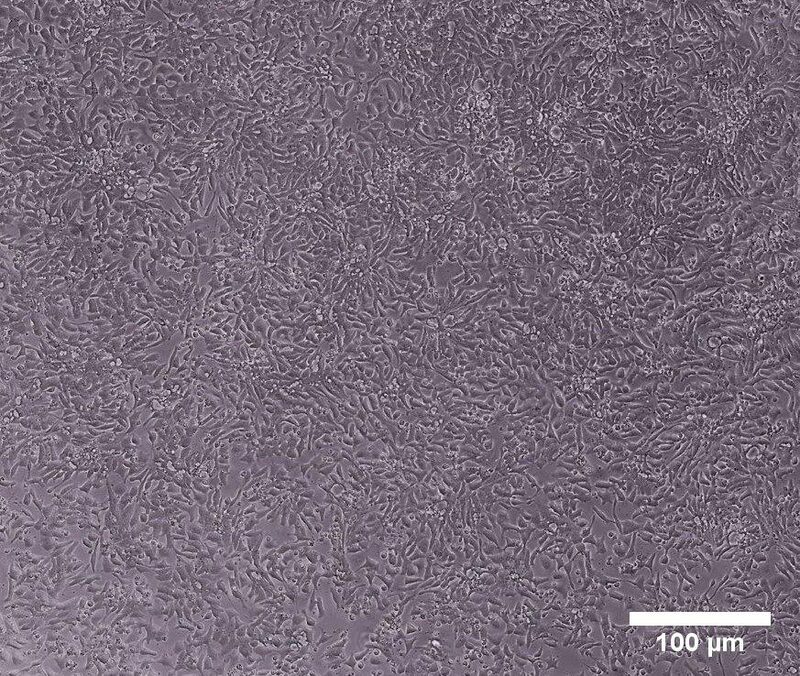 At CELLINK, we demonstrate that PAN X supports the growth and proliferation of iPS-derived β cells. One of our next goals is to test the functionality of the β cells within 3D bioprinted islets X by testing glucose-stimulated insulin secretion, a process of insulin release in a dose-dependent fashion.